The editor of this "Anchor File" * has been most fortunately collected for us here the most outstanding 18th-c. texts and illustrations of anchors. 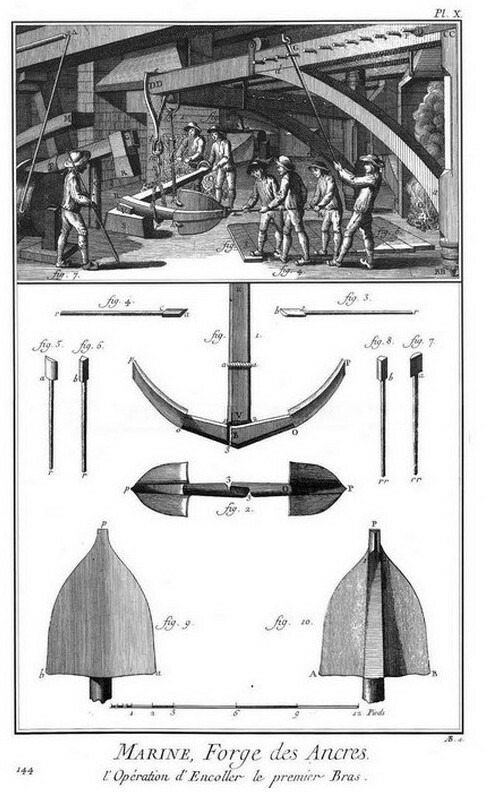 The paper read by Réaumur to the Academy in July 1723 gives an excellent description of the forging techniques that produced anchors from forging practices at the beginning of the century. The notes and comments added by Duhamel du Monceau in 1760 or thereabouts inform us of the progress and developments in forging techniques in the period. 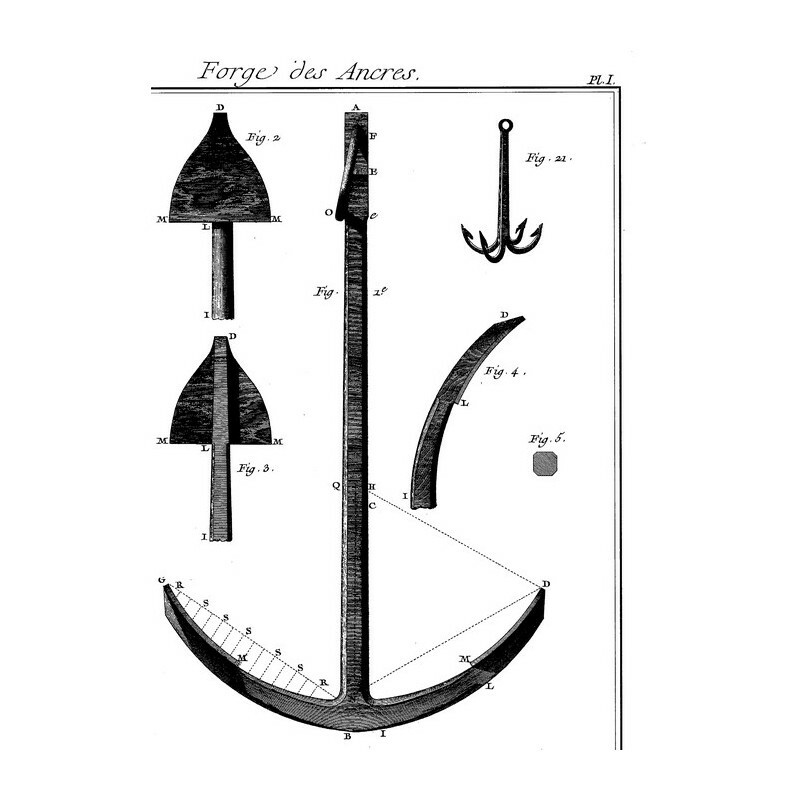 Six plates appended to the first selection illustrate the authors' text and numerous tables give the proportions and measurements of anchors from 100 to 6,000 pounds. 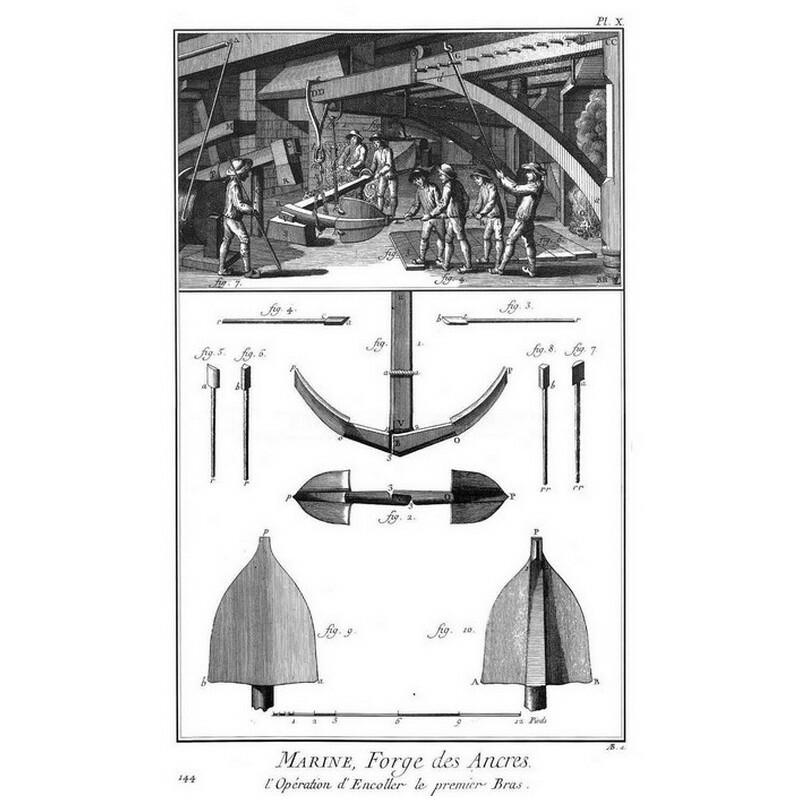 Thirteen superbly engraved plates with legends comprise the article on "The Smithing of Anchors" from Diderot and d'Alembert's Encyclopedia. These plates visually guide us through the successive stages of the manufacture of anchors and furnish complete details of an 18th-c. forge. Two tables on the proportions of anchors from 1,000 to 8,000 pounds complete the documentation. This work collects all basic and necessary information on anchors in the classical period. It is an edition of the finest quality, elegantly printed and tastefully bound. * Our friend Dr. Santi Mazini of San Remo. 54 pages de texte et 6 planches. 11 pages de légendes, 2 tableaux et 13 planches. Papier vergé ivoire 110 gr. 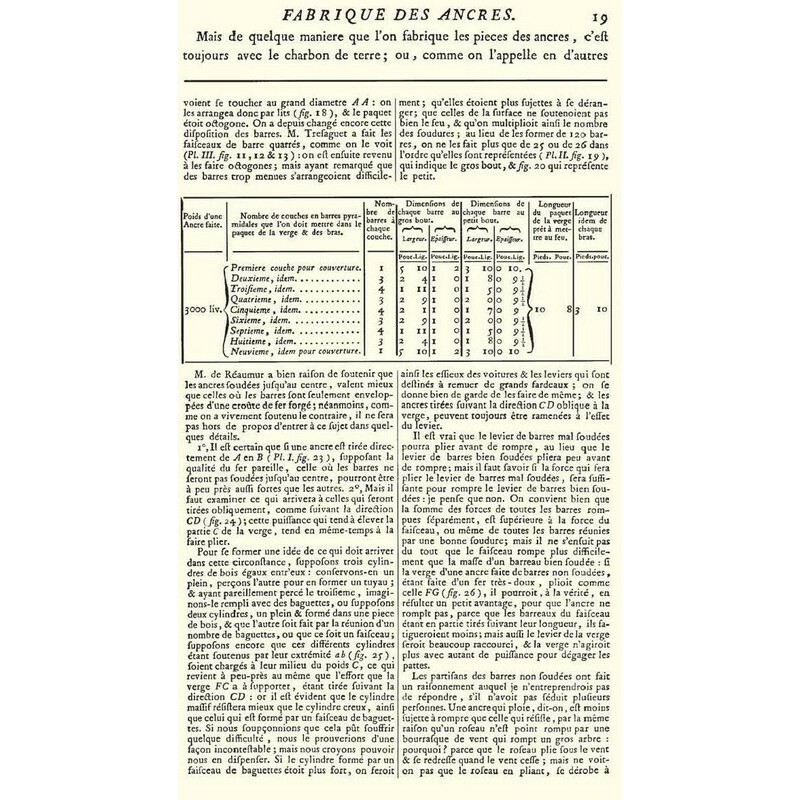 - l'édition de 1761 de la Fabrique des ancres (Bibliographie maritime POLAK N° 7974).